Hesam offers a discount of 50% on their first / introductory lesson! 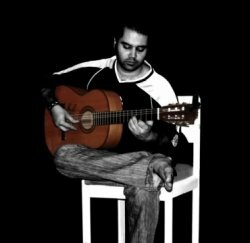 I am a professional guitar teacher and full-time musician based in Glasgow. I have been playing Flamenco guitar for 16 years and teaching it for more than 10 years. I do had lots of concerts and public performances and fully experienced in terms of technique, music theory, music literacy, etc. I am teaching guitar for more than 10 years to different ages and levels. I was guitar tutor in many music schools. Depends on student, my style of teaching changes. I do have my own method of teaching which I gathered during 10 years of teaching. It contain my composed music and traditional Spanish pieces.